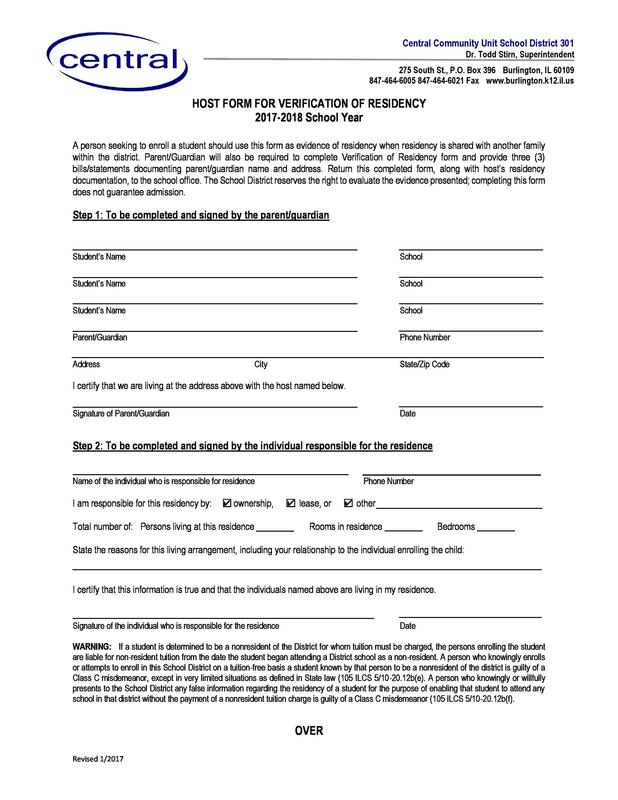 A proof of residency letter demonstrates that a person is a resident of a certain area or state. 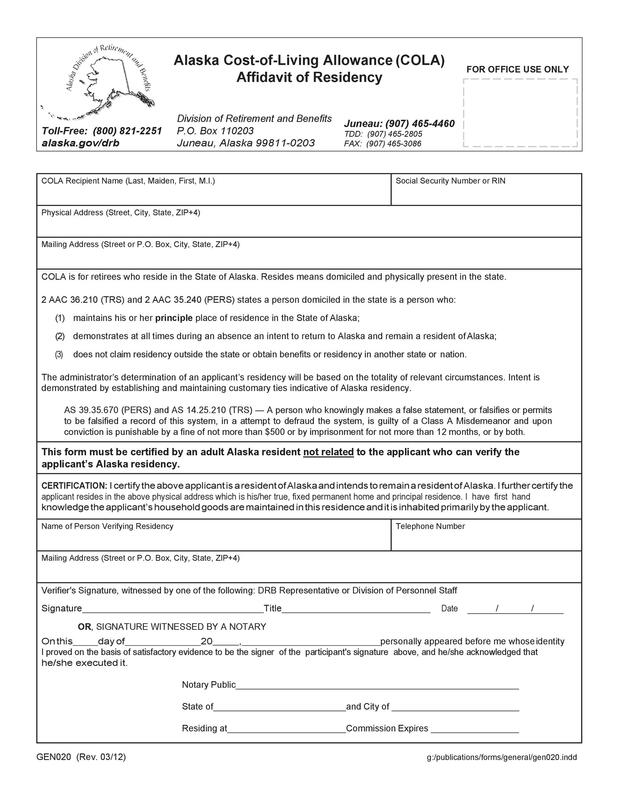 This letter may be necessary if you need to prove your eligibility for selection in some program or avail special benefits in the place where you reside. Many other situations call for a proof of address letter. For instance, when you register to vote, you may only need to carry a document which has your address proof, like one of your utility bills. 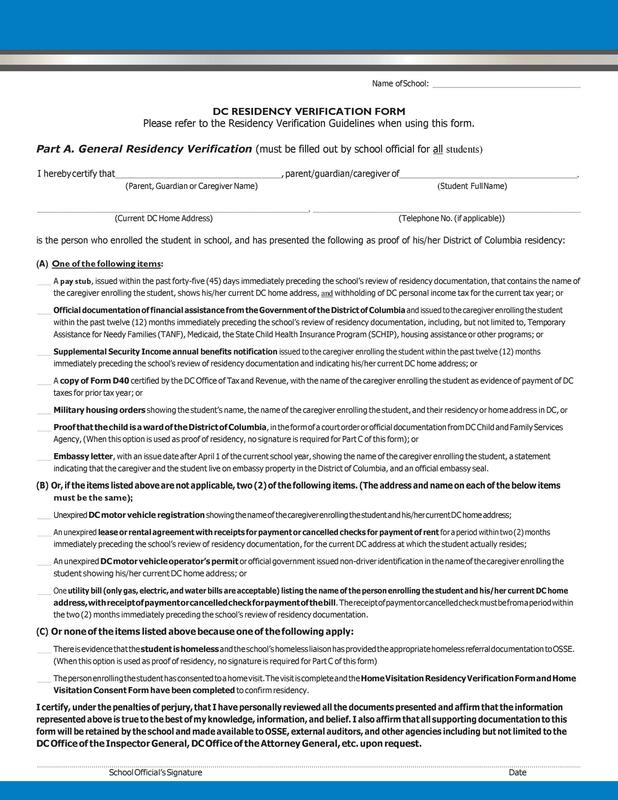 But for cases where you want to receive residency benefits from universities or colleges, you may need to present a verification of residency. 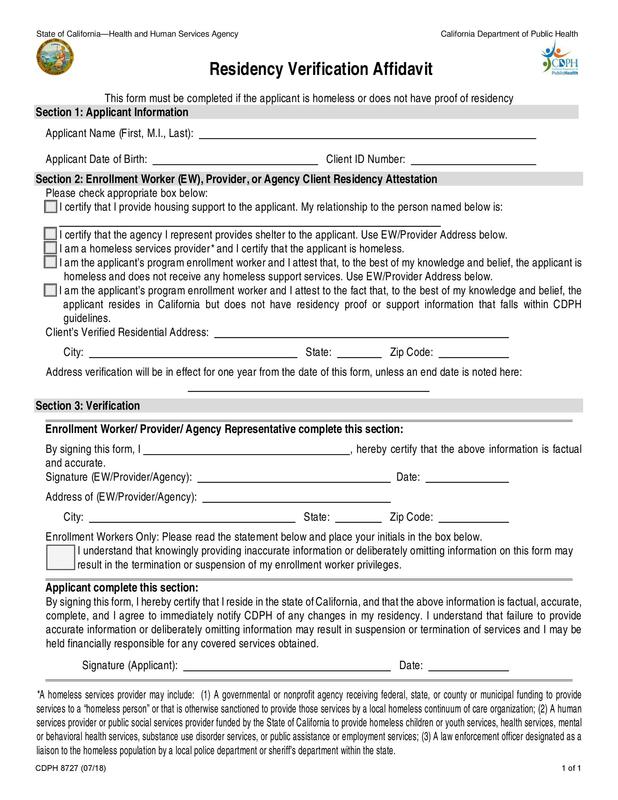 In this article, we’ll learn more about proof of residency letters and how to prepare them. 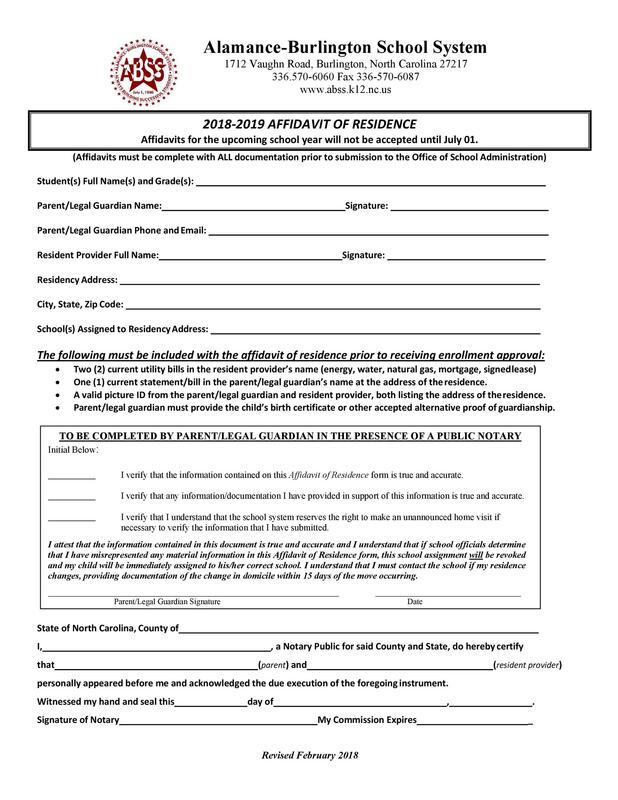 9 How to get a proof of residency? 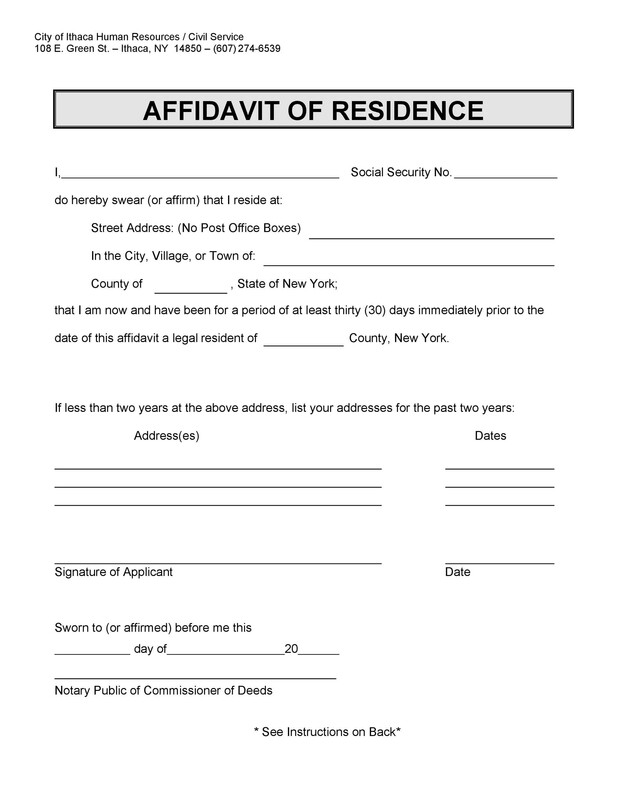 The heading of the letter should say “Affidavit of Residence.” Align this at the center of the page and use a clear font with a bold format. Also, make these words slightly larger than the other parts of the document. 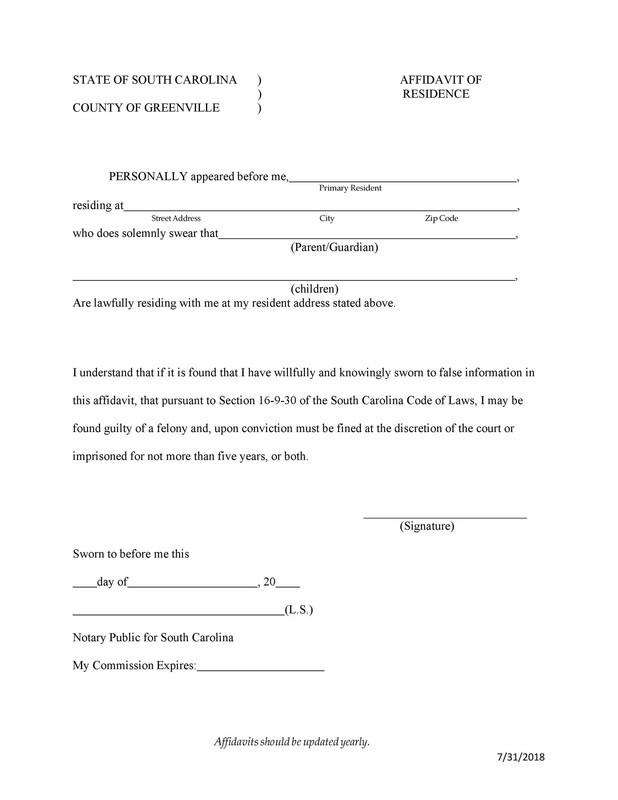 Since this is a legal document, you need to maintain formality throughout the letter. 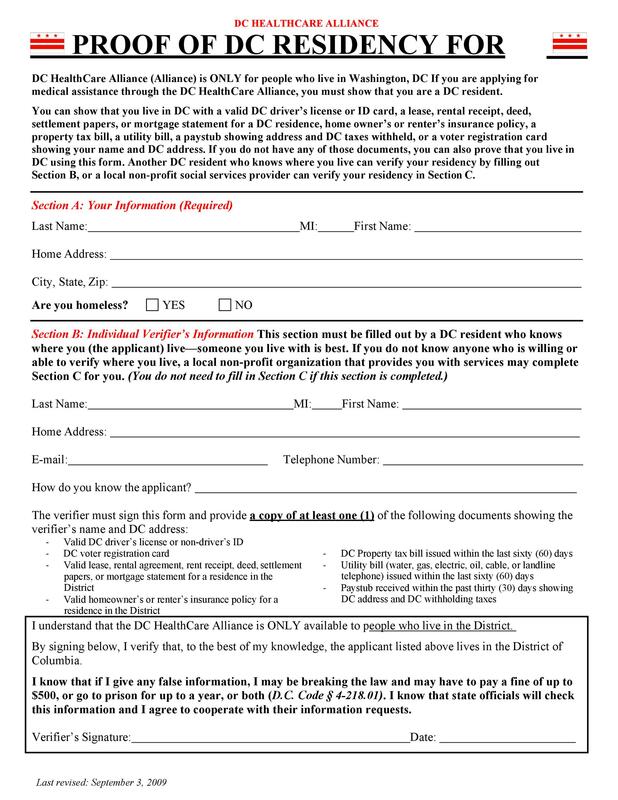 Just like any official document, you should include the date of the letter but you can use any date format. Align the date at the right side of the page two lines below the heading. 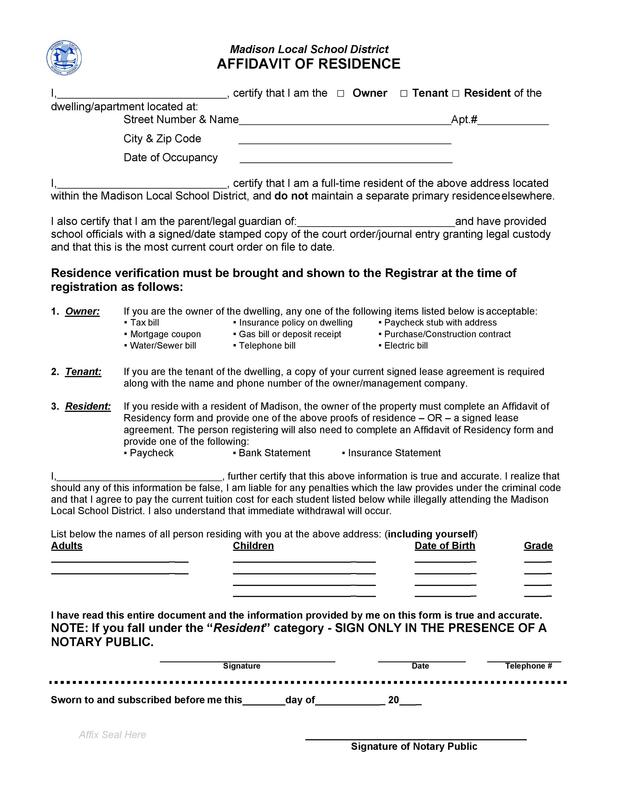 When writing a notarized letter of residency, the date should be the same date you will meet with the notary. At the top left side of the page, add all of your contain information. This is one of the most important parts of the letter so that the recipient can contact you. 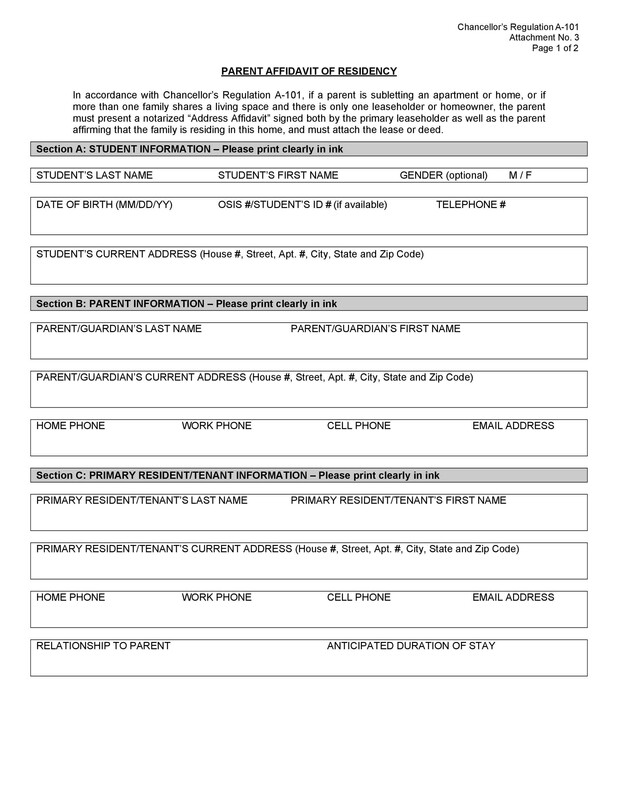 Include your full legal name, your complete address, your phone or mobile number, and your e-mail address. 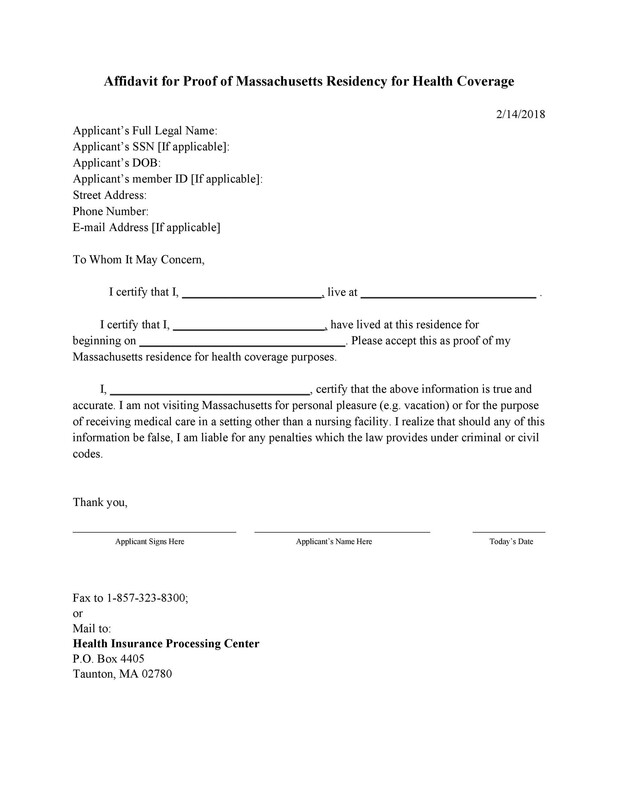 Since the proof of residency letter template is a legal document, start it off using your legal name. The next thing to do is to verify your address. Include your whole address right down to the zip code. Then state how long you’ve lived in your home or residence. In this part, you need to be as precise as you can. If possible, indicate the complete date when you started living in your home. Mention any other people living with you in your home. Sometimes, you may even need to write the names of those living with you. The next thing to include is your oath. 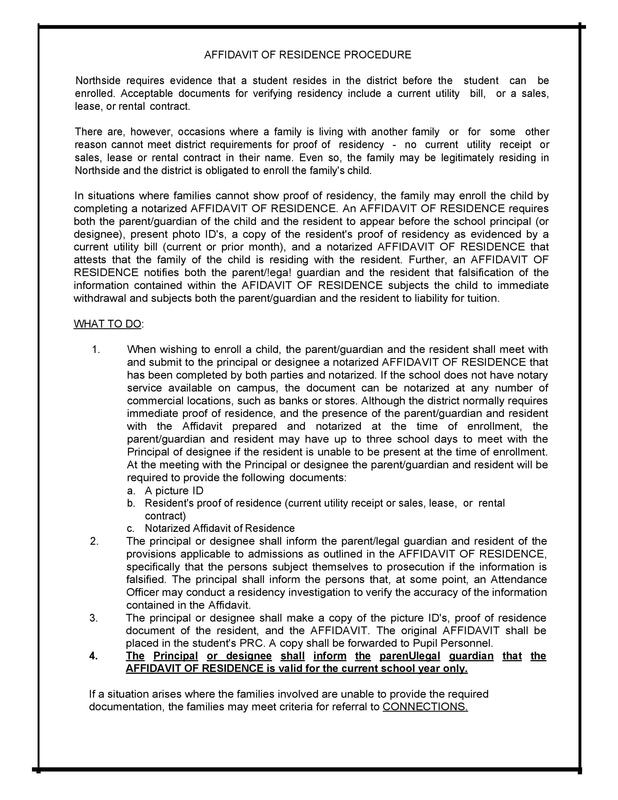 Any affidavit of residence form would need a statement wherein you swear under oath that everything written in your letter is the truth. Follow this with a closing phrase then your name. Again, write down your full legal name and nothing else. 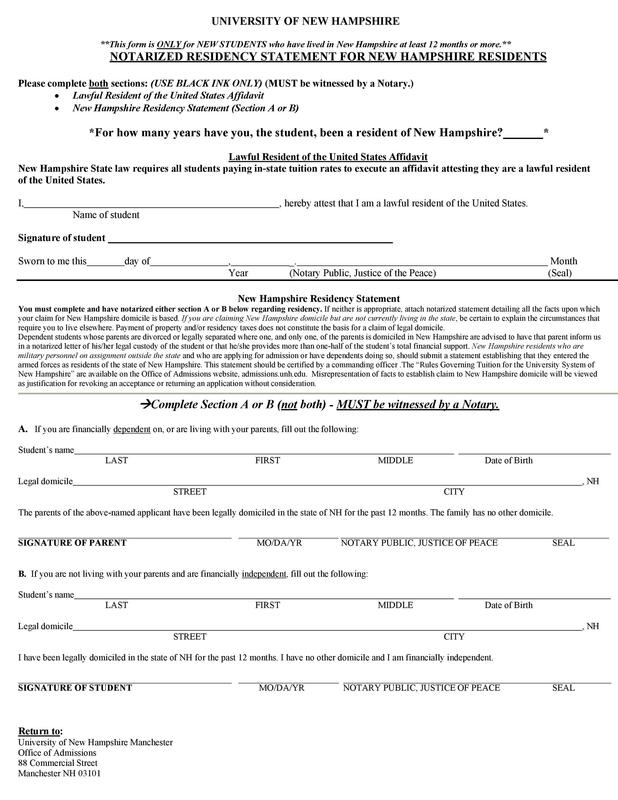 Create a line for the notary to sign. 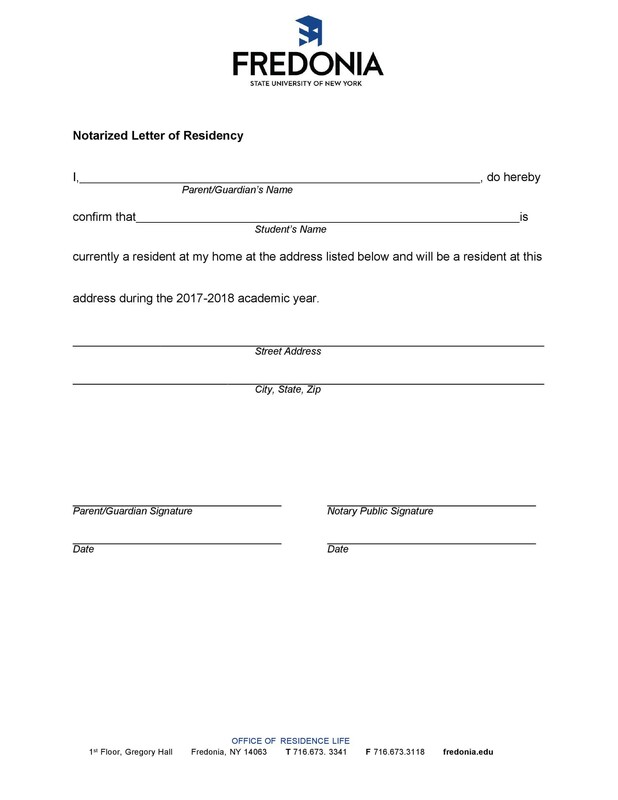 Only include this is if you’re required to submit a notarized letter of residency. 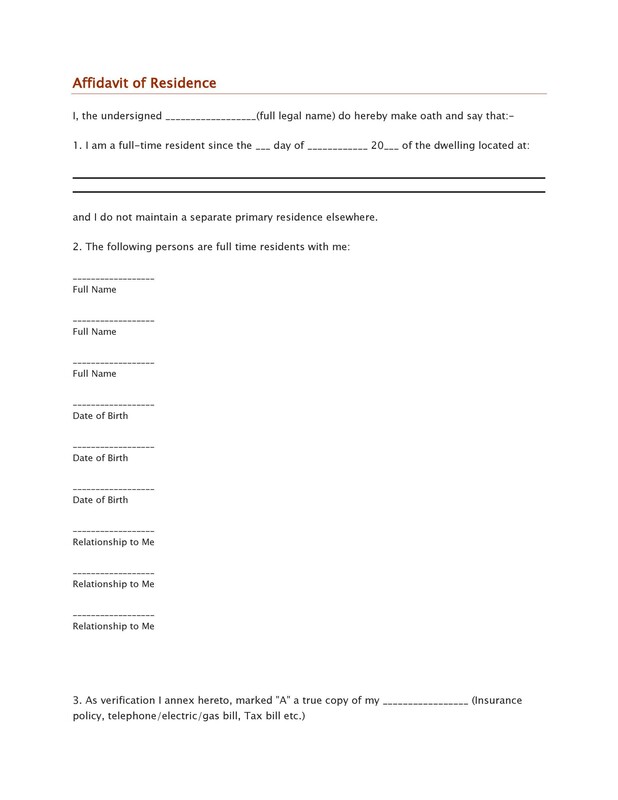 Also, create a line for your landlord to sign if you’re a tenant instead of a homeowner. 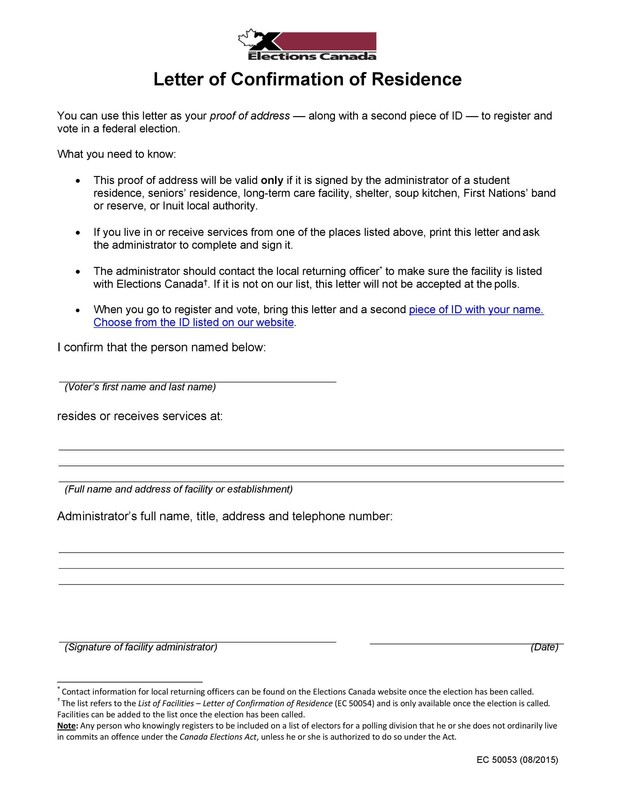 After printing out your proof of address letter, sign and date it. But only do so on the same day that you meet with the notary. 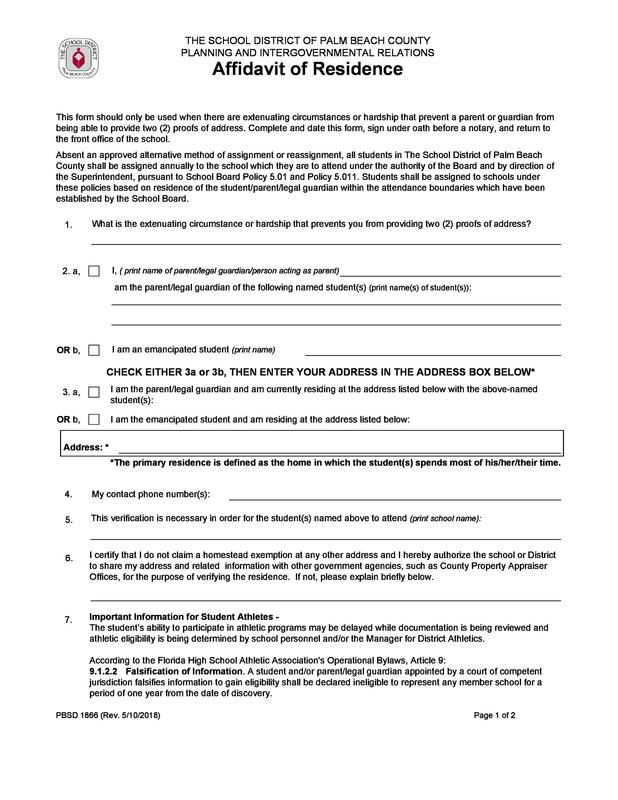 Before you submit the document, ask all the necessary signatories to affix their signatures. Then make a copy of the document for yourself and keep it in your file. 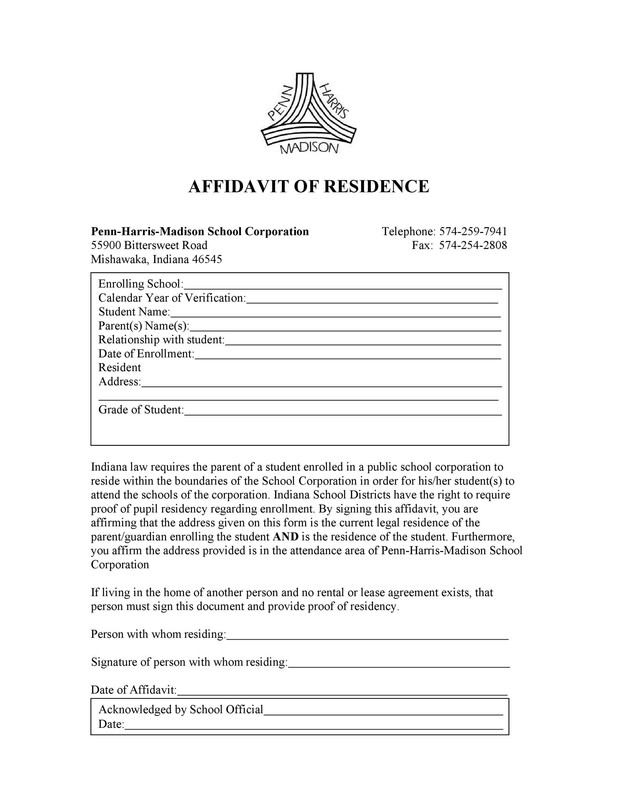 Start the proof of residency letter from landlord by indicating your purpose. 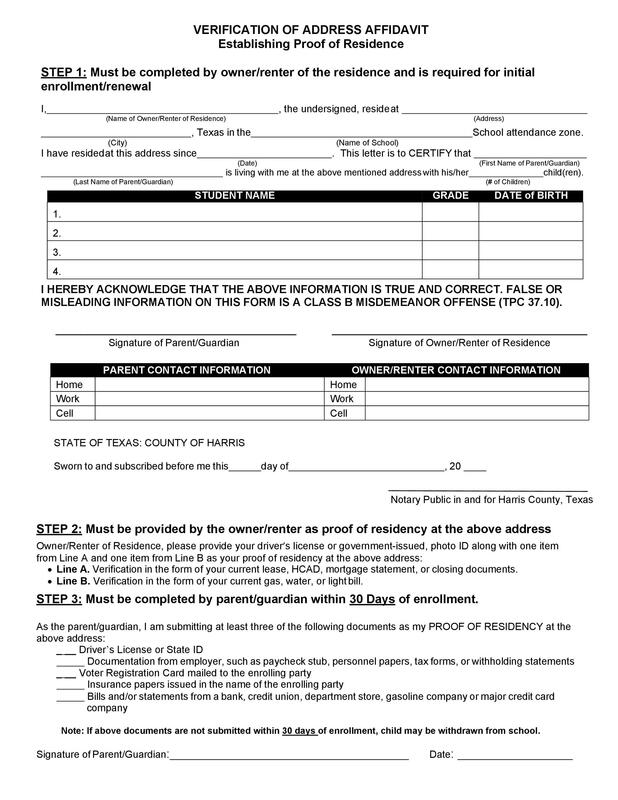 Here, you state that you’re verifying the residency of your tenants. When writing their names, use their complete legal names. Next, include the complete address of the property where the tenants reside. State how long your tenants have lived in your property. 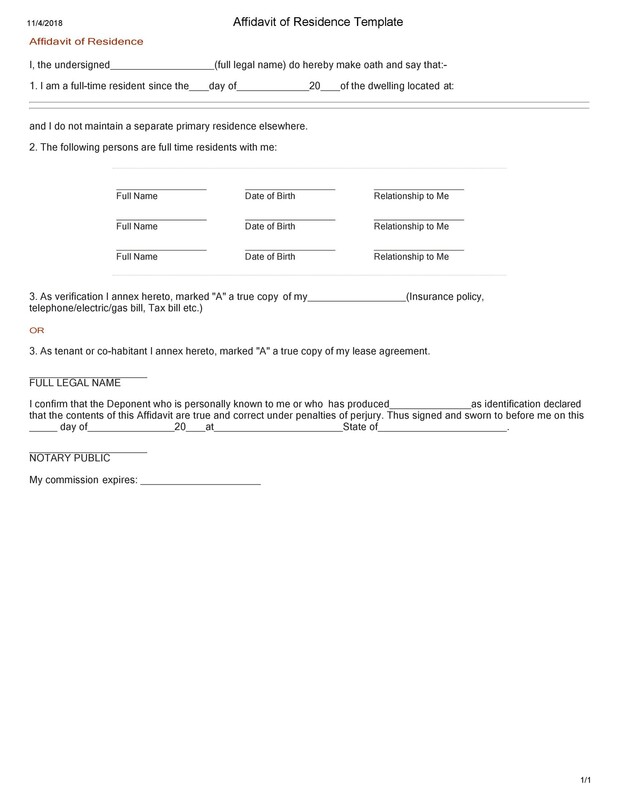 Refer to your initial contract to check the exact date that they started to rent. Include the amount they pay each month for the rent. But before including this information, ask if the recipient needs to know. 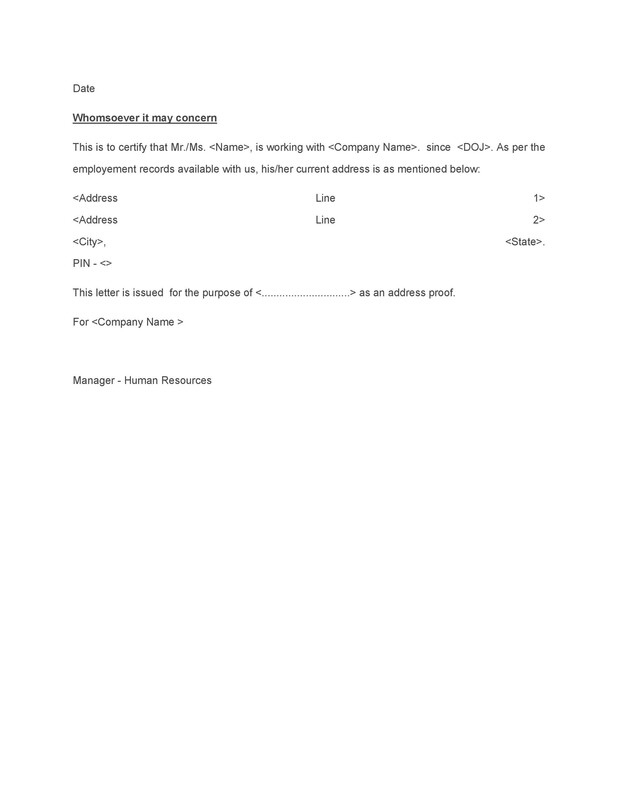 Write a statement which offers to answer any follow-up questions in the last part of the letter. 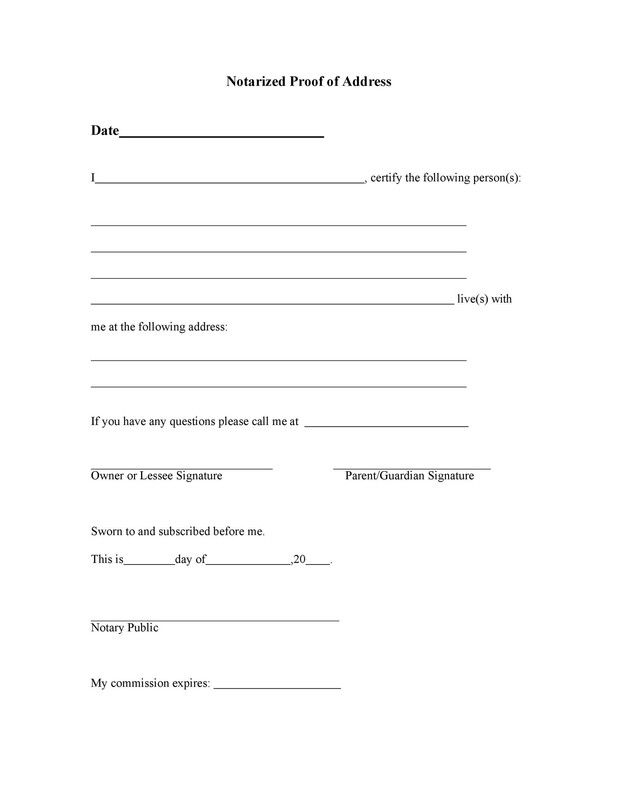 Then write your name and contact number in case the recipient does have more questions to ask about your tenant. End the letter with a closing phrase and your full name. Proofread the letter before printing it out. 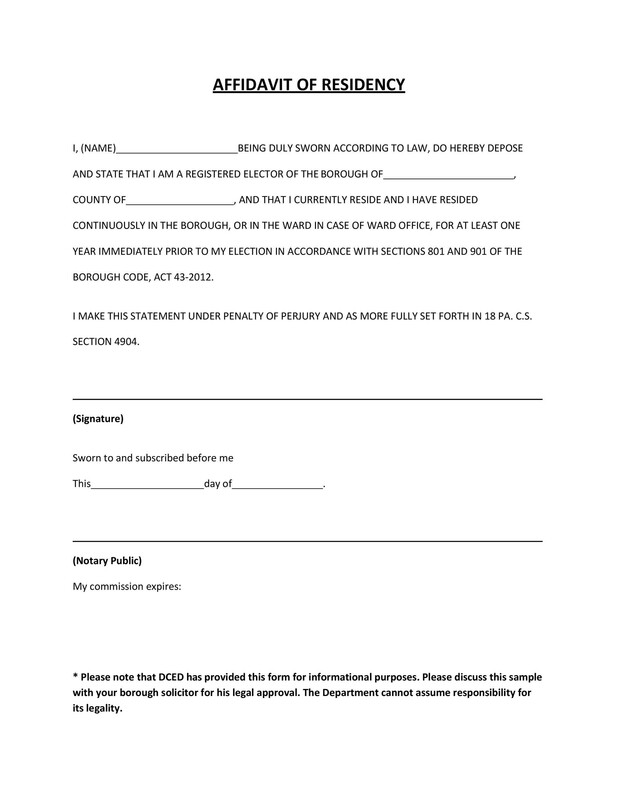 Once you’ve printed the letter, affix your signature and the date. Write the title of your document. 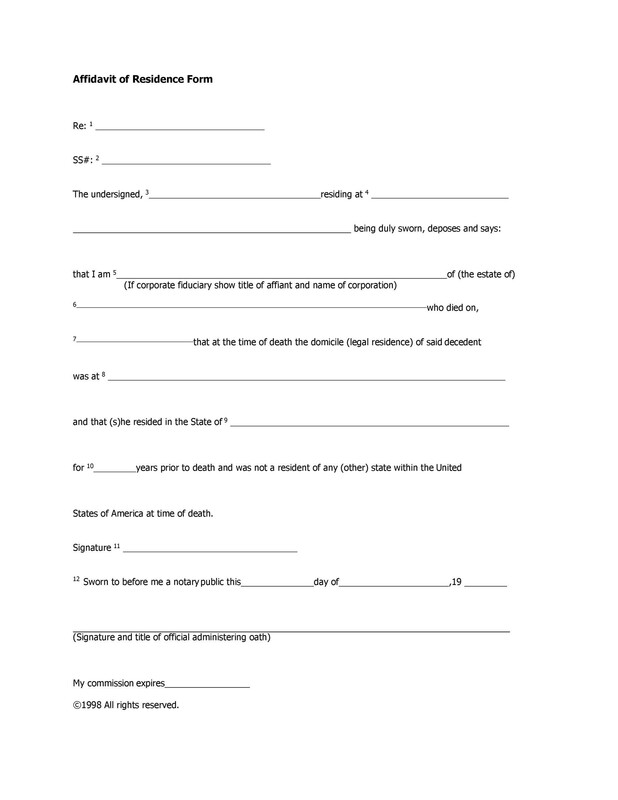 Include your complete legal name as the affiant. Also, include your complete address since this is one of the most important parts of the letter. 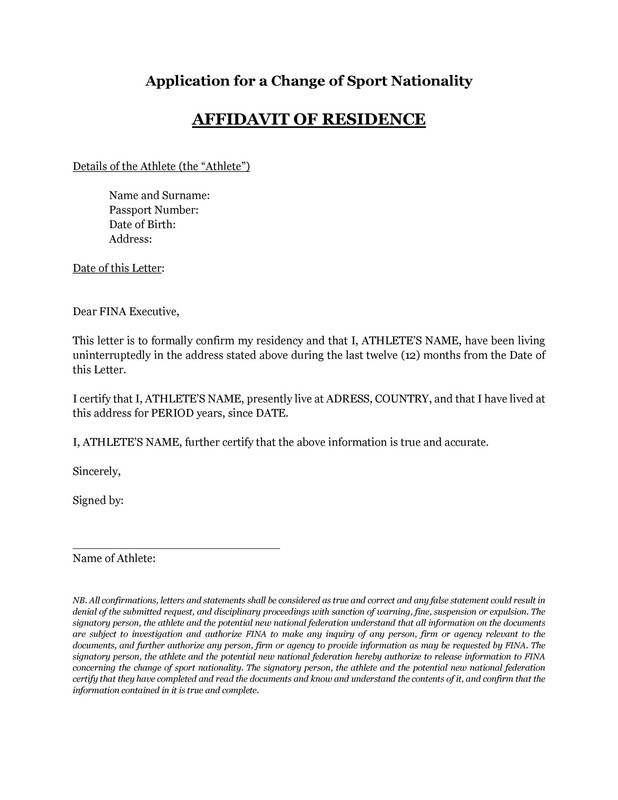 Write the purpose of your letter which, in this case, is to prove that you live in a specific residence. When writing your sentences, use the first person. Make sure to use clear and concise sentences so as not to make your letter too long and boring. 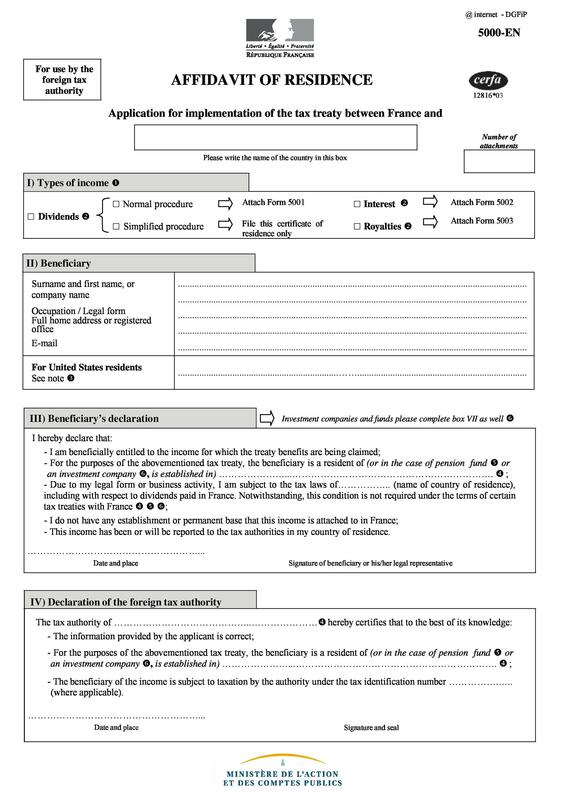 If you need to, refer to any of the supporting documents which you will attach to your letter. Include a statement of truth in your letter. This should be a clear statement which indicates that all of the information you’ve written in your letter is true and accurate. This statement would verify all the contents of the letter from your name, your address, and more. 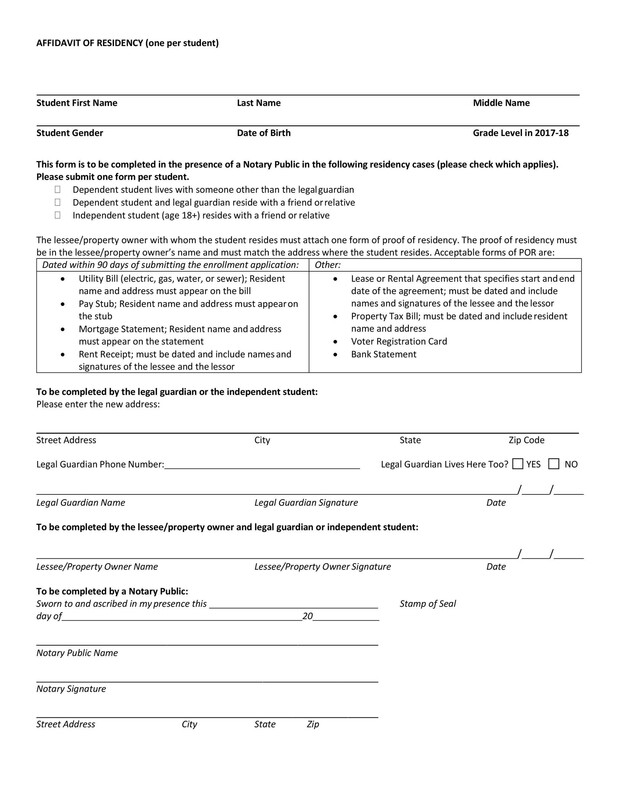 Create spaces or lines for signatures. 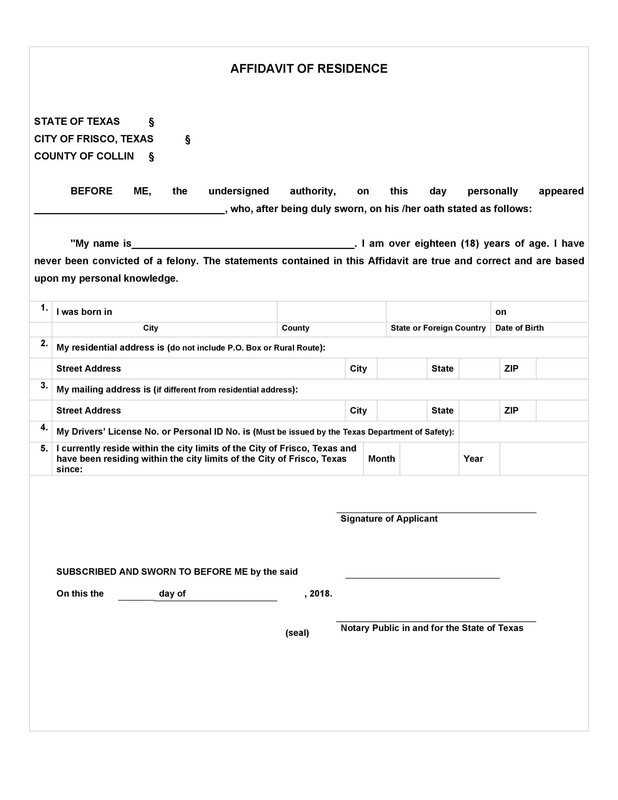 Aside from your name and signature, you may have to ask your landlord to sign. 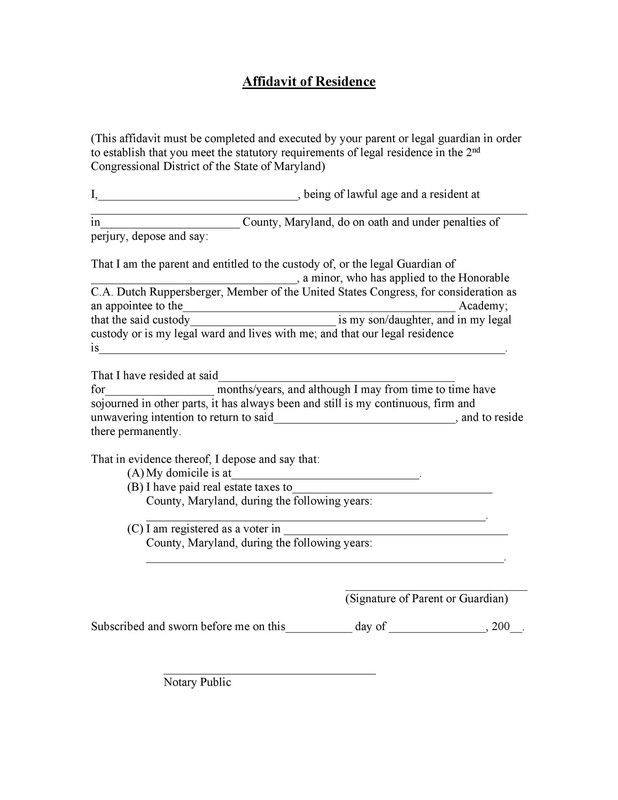 If you plan to have the document notarized, there should be a space for the notary to sign. This is normally found at the end of the document. When you sign the letter, it should be in the presence of the notary so that he can also affix his signature and his stamp. 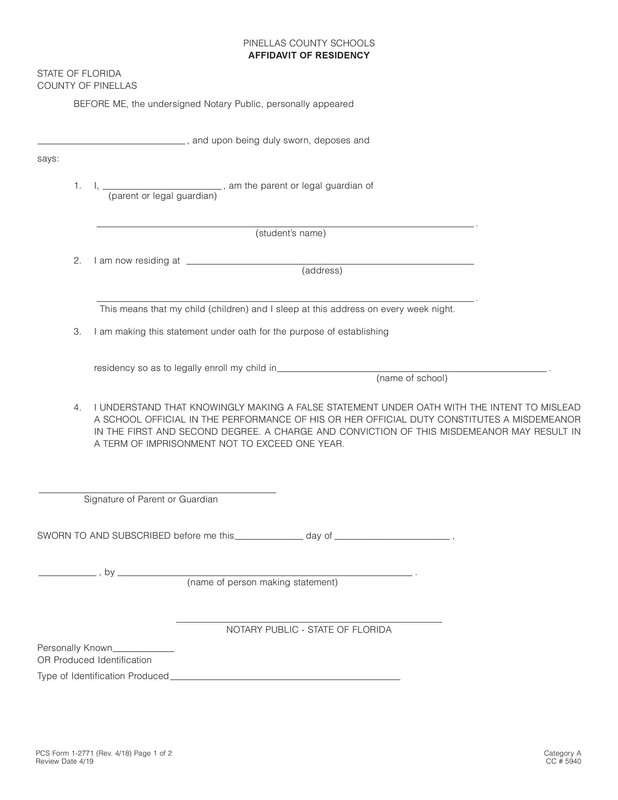 Before going to a notary for signing, make sure to bring with you enough identification. 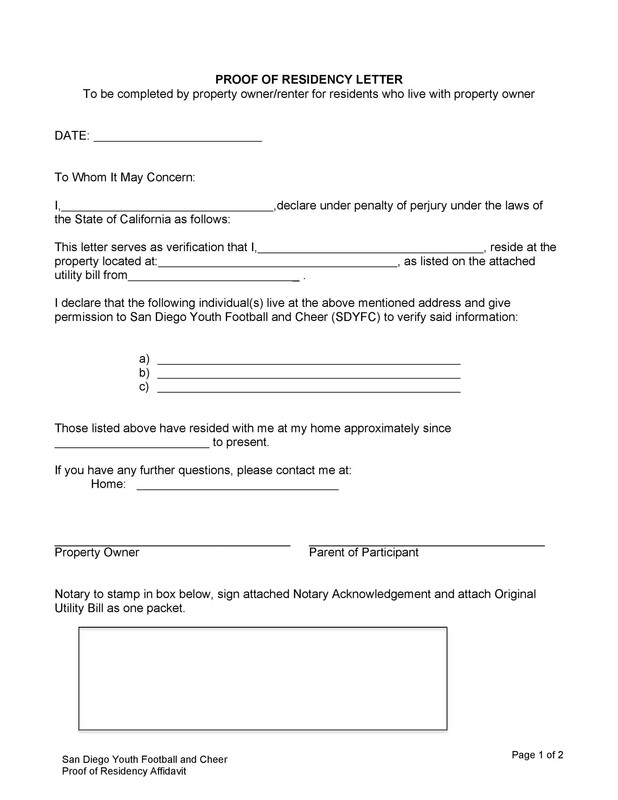 This is essential to show the notary that you are, in fact, the person who wrote the letter and that you do live in the address you’ve stated in the document. The best forms of identification to bring would be your passport and your driver’s license. 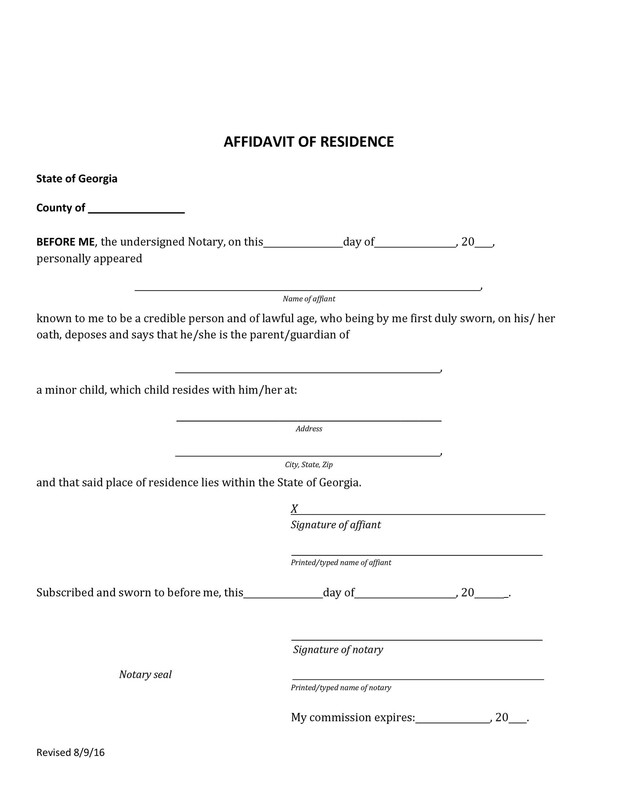 In the case of students or other special circumstances, even minors may affix their signature on an affidavit. But the minor must first appear before the notary and he must have a valid ID like a passport. 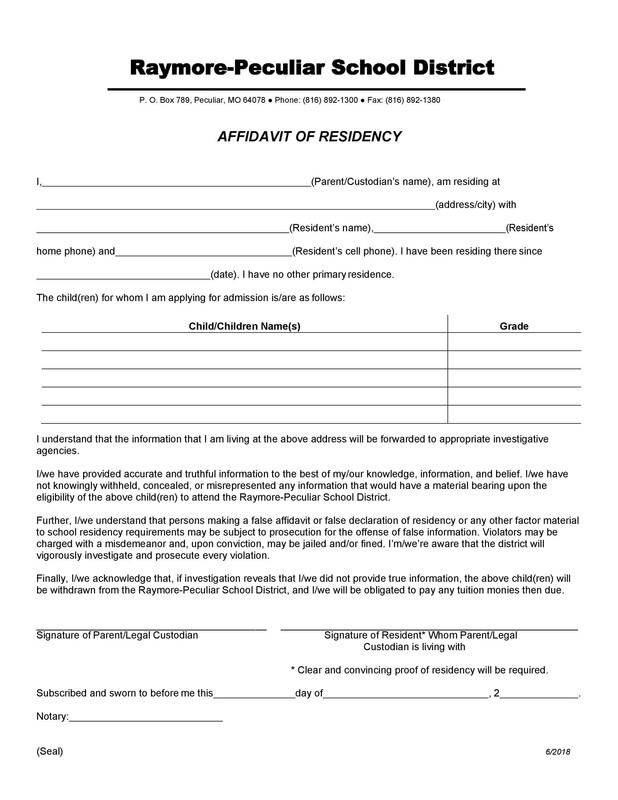 How to get a proof of residency? You first need to understand all of the requirements you need to get the letter. For instance, if you write it yourself, you may have to ask your landlord to sign it. 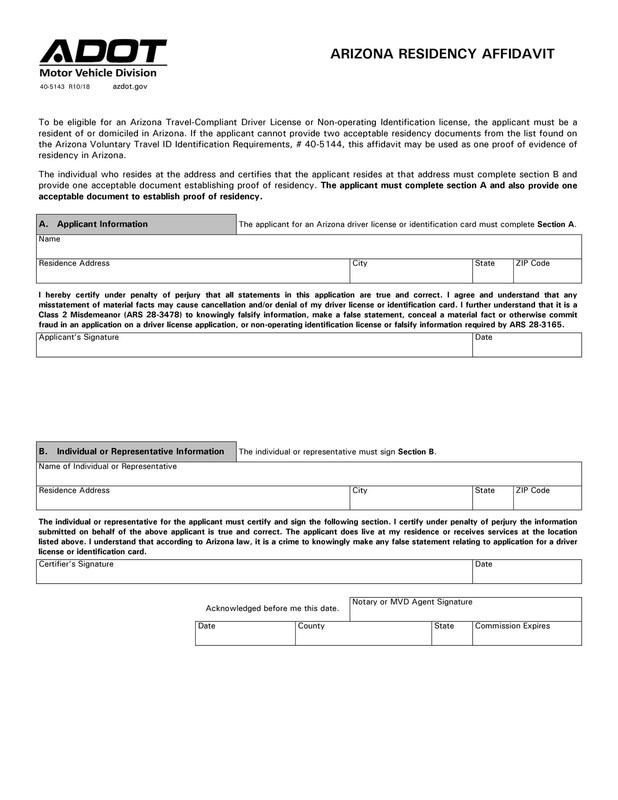 In some cases, you may also have to submit supporting documentation along with the letter. Get the complete list and make sure you know what you need to accomplish. 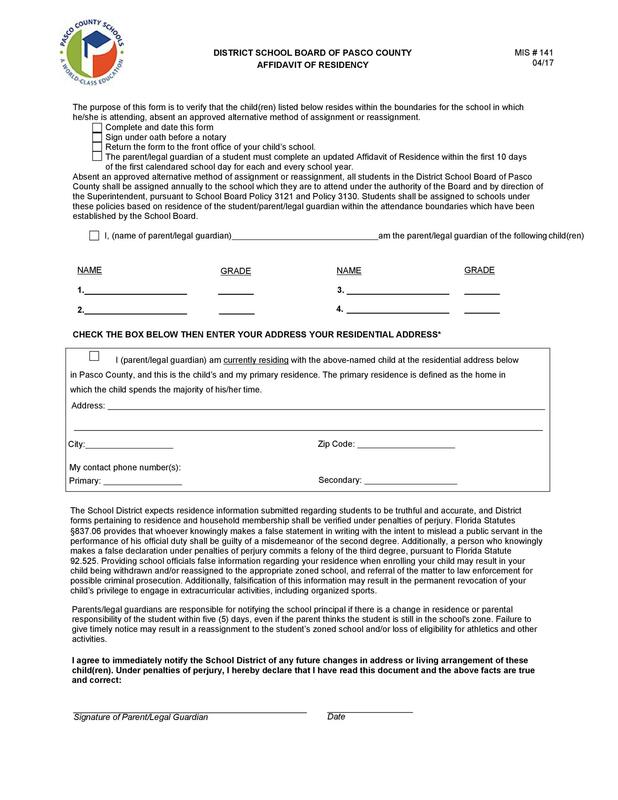 Collect all of the documents you need to support your letter. Before sending any of them, make copies to keep in your own file. After writing and proofreading your letter, discuss it with your landlord before asking him to sign. Also, ask if it’s okay to include his contact information in case the recipient has any other questions. 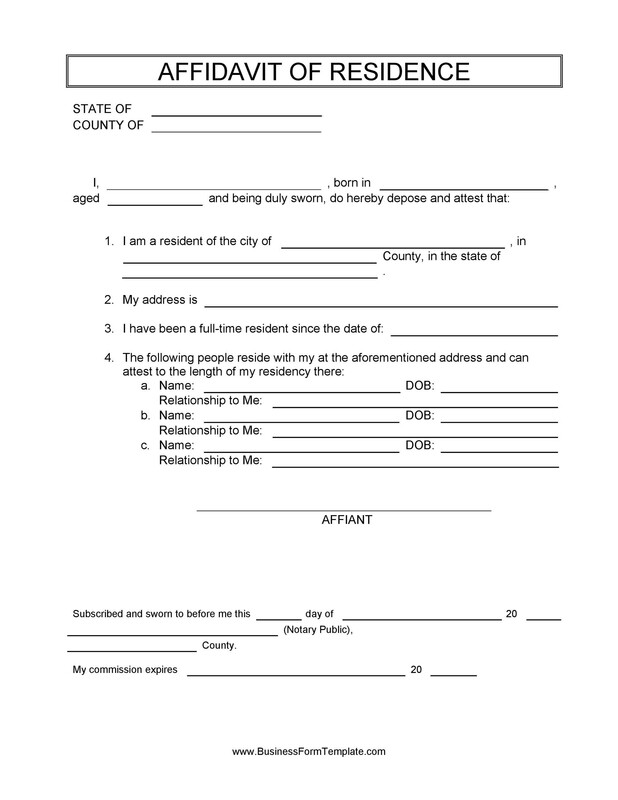 Make an appointment with a notary on the same day that you plan to sign and date your letter.